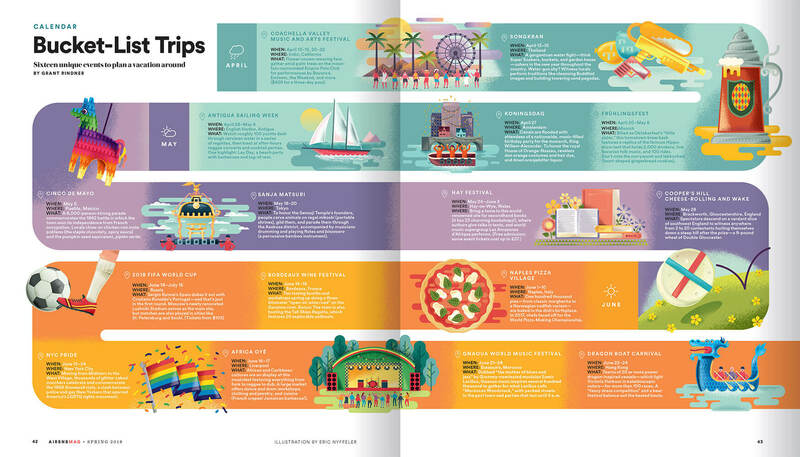 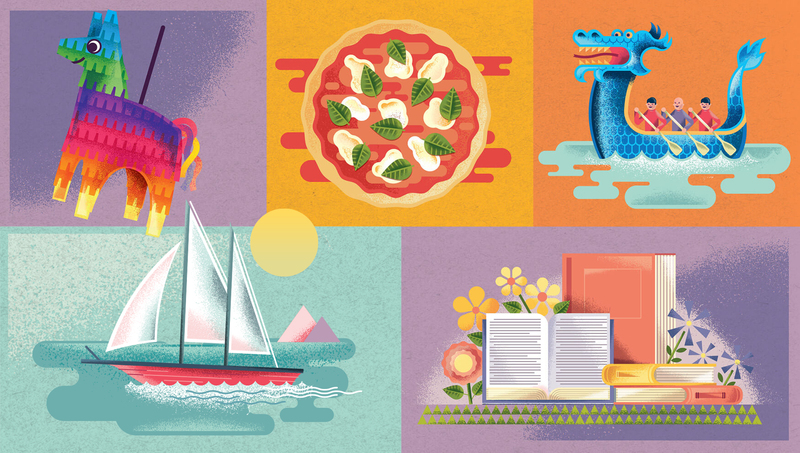 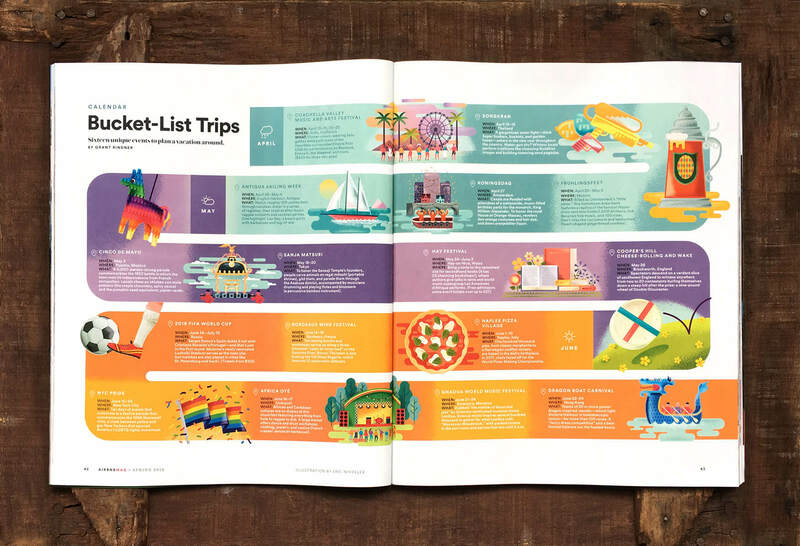 There are few things I enjoy more than drawing colorful little icons, so when Airbnb Magazine came looking for fourteen little scenes for a two page calendar of Bucket-List Trips, you’d better believe that I had some fun. 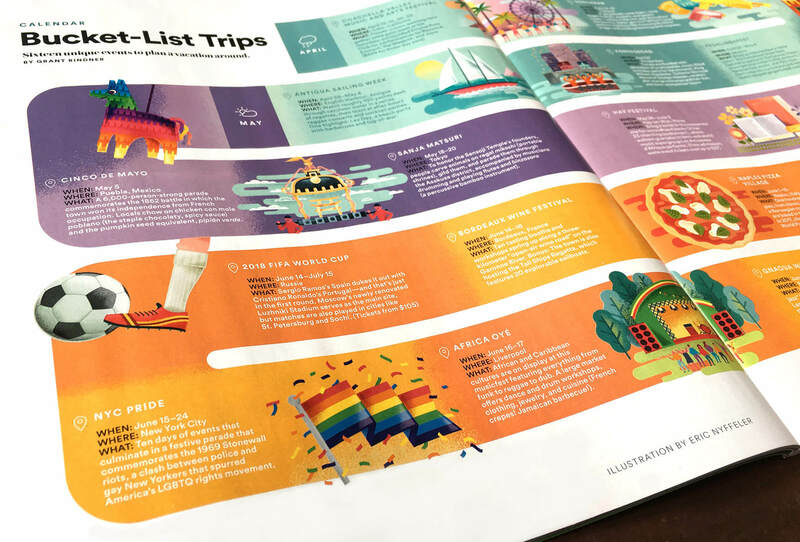 Squirt guns, piñatas, beer steins, dragon boats, pizza, musical festivals…you name it, this calendar has everything everything festive you could ask for! 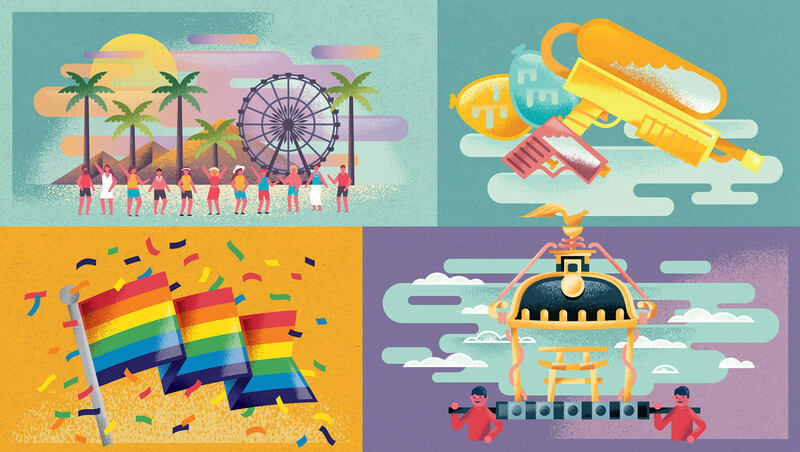 I think a few of these icons ended up being used on the main website and app as well.